Current Processing times are extended due to a high volume of orders. Please be aware that when placing your order and checking the policies box at check out you are agreeing that you understand we are currently processing orders in 14-16 business days, this does not include shipping times. Thank you and as always we will work hard to get orders out as quickly as possible. Candles By Victoria acknowledges your trust and is committed to protecting the information you provide us. To prevent unauthorized access, maintain accuracy, and ensure proper use of information, we have employed physical, electronic, and managerial processes to safeguard and secure the information we collect online. 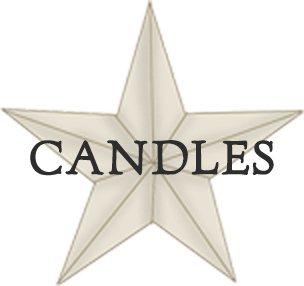 Candles By Victoria will not sell, rent or trade e-mail addresses or disclose any personal information belonging to our valued customers, we respect your privacy and appreciate your business. Merchandise is only eligible for credit if defective or damaged upon delivery. You must contact us within 3 business day after receiving your order, please expect that we will request a photo of defective or damaged products in order to file a claim with UPS. We may also ask you to return the damaged or defective item to us. We will not be responsible or reimburse for any shipping costs. If it is determined that the product is damaged or defective we will credit your account with us in the amount of said product. We do not refund monies or make exchanges if a fragrance is not to your liking or if you feel the fragrance is not strong enough. Please remember that cure time is a real thing, if your wax does not smell strong enough upon delievery give it some more time to cure. You can read more about cure time on our "candle care" page. http://www.candlesbyvictoria.com/candle-care If you are unsure of a particular scent, please order a sample size first before purchasing a larger quantity. If you have a damaged product, please contact us immediately via the website. *Finished "melt" products are measured in fluid ounces where noted. Here at Candles By Victoria we do everything we can to ensure that your wax goodies arrive to you perfectly in the hot summer months. However, UPS will not reinburse for melted candles or wax melts with that in mind, please understand that Candles By Victoria will not be held libal for melted products. Please know that you are ordering at your own risk but that we do everything we can to wrap and package your goodies to withstand the warmer temps. Unfortunately we can not combined gift cards that are purchased from our website. One gift certificate per order is all our system will allow. Please be sure your order is complete and as you want it, we can not make changes or add to orders once they have been processed and finalized. There can be no exceptions to this rule, thank you for understanding! Once an order has been placed and processed we are unable to cancel that order. SurePost is an economical shipping alternative on low-weight packages offered through UPS, SurePost reachs every U.S. address, including P.O. boxes. UPS SurePost is a cost-effective means of shipping low-weight packages to residential customers. Transit times are typically 2 to 10 business days within the contiguous U.S., based on the final destination ZIP code. Please be aware, while this is an economical way of shipping low-weight packages, it does take a few more days for your order to arrive. Also, be aware that there is no insurance with SurePost, if a package is lost the USPS will rarely reimburse for lost packages. Candles By Victoria can not be held responsible, we will do whatever we can to help locate your package but once it leaves our facility via SurePost shipping our responsibility for said package ends. If a SurePost package is sent back to Candles By Victoria due to the address being incorrect the customer will be charged the return shipping cost and the cost of re-shipping said order. Please make very sure your address is correct prior to checking out. NOTE: If you are shipping your order to a P.O Box, please be sure to choose SurePost as your shipping method, UPS Ground will not deliver to a P.O Box. Orders over $100.00 that ship free, please enter an actual physical address. With sky rocketing shipping rates, it is important to take the time to determine what will be the cheapest, yet quickest way to get your items. Please understand we have no control over the shipping rates that UPS charges, we do NOT tack on additional handling fees, nor do we inflate the shipping costs. The fees you are quoted are what they quote us per our discounted rates that we pass on to our customers. Shipping charges are calculated per size, weight, shipping option and delivery location. If you would like to find out which shipping options are available and the cost prior to placing your order, simply add the items you wish to purchase to your shopping cart and the option to calculate shipping will appear. All international orders to United Kingdom and Austrailia are shipped via USPS Priority International. Alaska and Hawaii orders are shipped USPS Priority Mail. Canada orders are shipped UPS standard, border fees and taxes are not included in the shipping costs. Here is a list of the International Countries Candles By Victoria currently ships to. Canada, United Kingdom and Australia. UPS Ground and SurePost tracking numbers will automatically be emailed to the email address used when setting up your account or the email address you used if checking out as a guest. As soon as your order ships, we will notify you via e-mail. You can also track your package, review your orders, print invoices and more from your "My Account" page at any time. Thank you for choosing Candles By Victoria, we appreicate your business! 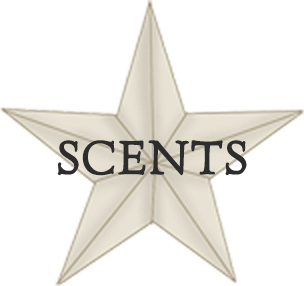 Candles By Victoria is not responsible for - incorrect e-mail or postal address. Candles By Victoria will be responsible for - damaged candles due to delivery mishandling for orders inside the US only. Candles By Victoria is not responsible for - damaged or missing items due to delivery mishandling for orders outside the US. Candles By Victoria shall not be responsible for any injuries, damages or losses of any kind due to your use of any product purchased from Candles By Victoria. In any case, our maximum liability to you is the amount you paid for the product. We reserve the right to modify, alter or discontinue any policies and terms included herein at any time without notice. Your purchase from Candles By Victoria signifies your acceptance of the aforementioned information and policies.